Ahead of delivering their new Rattlesnake album next month, the Strumbellas have announced a special Canadian performance alongside Dan Mangan, Donovan Woods and Dizzy. 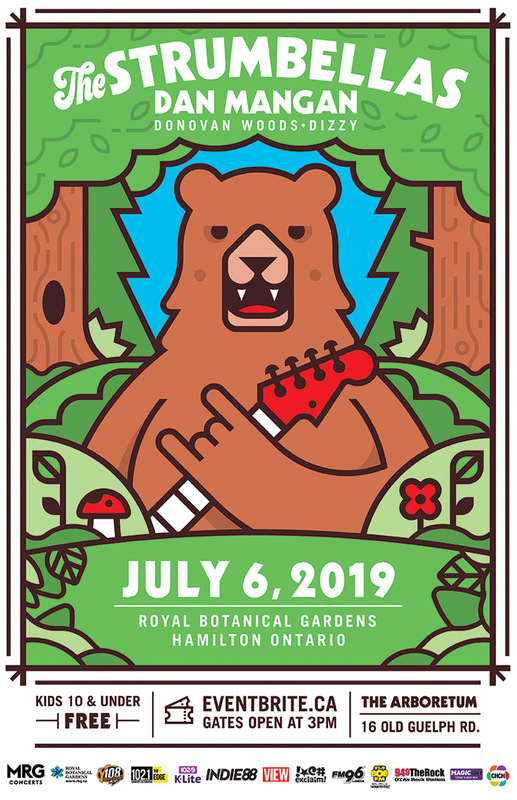 The four acts will play a one-off concert on July 6 at the Arboretum at Hamilton's Royal Botanical Gardens. The day-long event will allow ticketholders into the Arboretum grounds from 3 p.m. onwards, where they will have access to the land, walking trails and waterfront. Tickets will go on sale to the general public on Friday (March 1) at 10 a.m. EST, but a February 28 pre-sale event will give fans a chance to snap up stubs ahead of time if they use "EXCLAIM" as the password. A single general admission ticket will cost $65 (plus service charges). The event is also offering a VIP package for $149.50 (plus service charges) that includes private viewing area, VIP line and entrance, private bar and amenities, and a commemorative concert poster. Further ticketing information can be found here.